Audi wants next A3 to be brand's No. 2 seller in U.S.
Audi of America has big plans for the next-generation A3: It wants to make the compact car the brand's second-best-selling model behind the popular A4 sedan. A sedan-only version of the redesigned A3 is expected to arrive in the United States in 2014, replacing the outgoing hatchback, which had peak sales of 8,040 units in 2006. 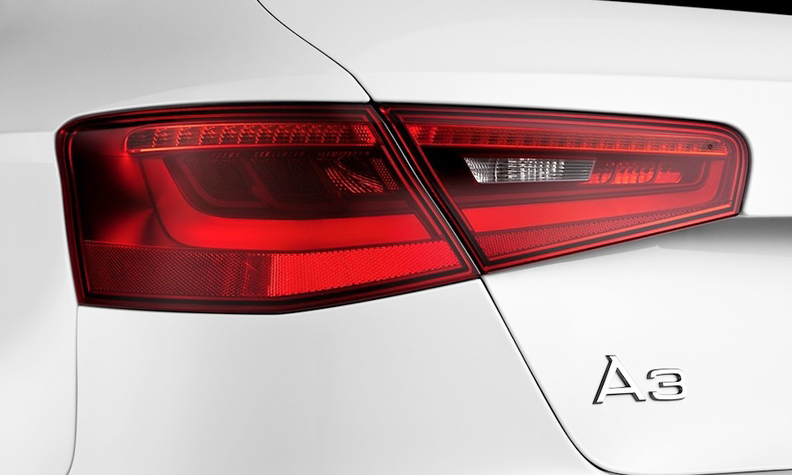 The third-generation A3 debuts in Germany in August and in the rest of Europe in September. The compact-premium model will be offered as a hatchback, station wagon and sedan in Europe. China also will get the sedan version of the car. With the new sedan, Audi is hoping to make a U.S. comeback in compact luxury, a segment its executives say it helped pioneer. Audi expects the A3 to slot in where older generations of the A4 left off. The A4 used to be smaller and more affordable, but with each new generation, it has grown larger, pricier and more powerful, said Scott Keogh, Audi of America's chief marketing officer. "We've left behind a segment we were initially able to fill so successfully," he said. The new A3 sedan, he added, is designed to be the "spiritual successor" in both price and dimension to the A4 model sold in the late 1990s. Audi introduced the A3 in the United States in 2005. The hatchback was the only body style available at the time. But Audi execs say U.S. buyers tend to prefer sedans and often view hatchbacks, which are popular in Europe, as economy cars. The A3 line is Audi's top seller in Europe through April with volume of 46,962, according to market researcher JATO Dnamics. Last year, Audi sold 6,561 A3s in the United States -- less than one-fifth of the number of A4s sold last year. With the redesigned model, Audi officials hope to sell 2,000 to 3,000 A3s a month, a figure that could vault it past the brand's second-best-selling model, the Q5 SUV.